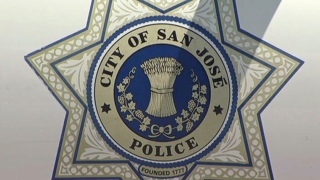 San Jose police officers on Thursday morning tased and arrested a man, who they said is a wanted felon. The man — believed to be a transient — was stopped near Park Avenue and West San Fernando Street, close to Highway 87 and the Adobe headquarters. It remains unclear whether officers stopped him on foot or in a car, but the man was tased, loaded on a stretcher and taken into custody. Police said that there is a $100,000 felony warrant out for his arrest. It is unknown what crime he is accused of committing. Roads in the area were not closed.